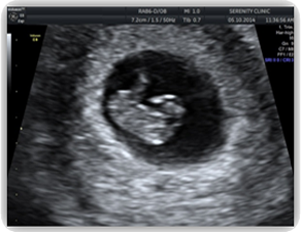 First trimester USS is performed during the first 3 months of pregnancy. 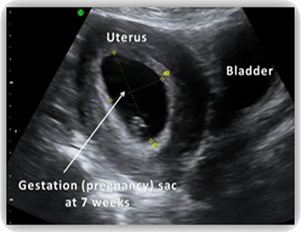 For many women especially after 8 week-gestation, trans-abdominal ultrasound is sufficient. 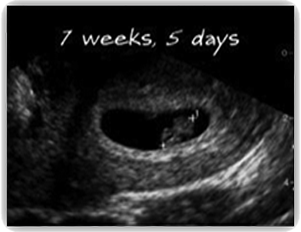 However, in the early pregnancy, the developing embryo is very small (5-9mm at 6 weeks) and a Transvaginal ultrasound may be required to get a better image of the baby. Transvaginal ultrasound is safe and commonly performed during all stages of pregnancy, including the first trimester. It will not harm you or your baby. 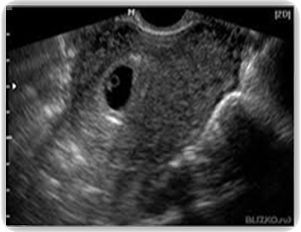 Partial full bladder is needed for abdominal ultrasound to get better image and visual of the pregnancy. However, if Transvaginal ultrasound is required, the bladder should be empty. 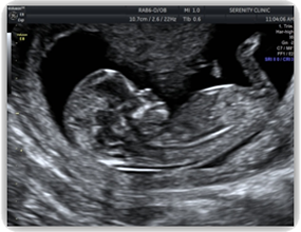 WHY DO I NEED FIRST TRIMESTER / DATING ULTRASOUND? The presence of your baby's heartbeat	is confirmed. Exact dates of pregnancy and delivery are determined. Location of your pregnancy is identified and discussed. Number of babies present inside mother's womb is defined. HOW WILL YOUR BABY LOOK LIKE IN THE FIRST TRIMESTER? 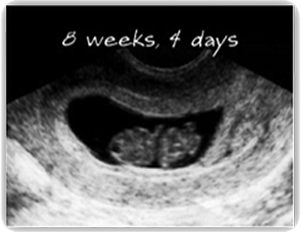 Before 5-week gestation, the developing pregnancy is too small to detect on ultrasound. At 5 to 6-week gestation, a Transvaginal ultrasound is usually required. The baby is a tiny embryo. It measures only a few millimeters long, and it is too early to detect the baby’s heartbeat. Not detecting the baby’s heartbeat shouldn’t be a concern at this early stage as this circumstance can be happen normally. At 6 to 7-week gestation, the baby is growing bigger and now measures 5-9mm long, called the crown-rump-length or CRL. The baby’s heartbeat will be detected at this stage. At 8 to 10-week gestation, the baby continues to change appearance as he grows and develops. 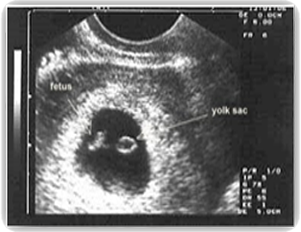 By 8 weeks gestation, the baby can usually be seen with transabdominal ultrasound. 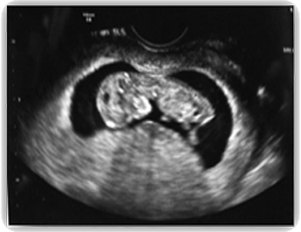 By 10 to 11-week gestation, the embryo is clearly recognizable. The baby’s body, head, arms and legs, and other features show up remarkably. The baby may be moving around the pregnancy sac. Many parents are amazed at the detail that can be seen even at this early stage of pregnancy.